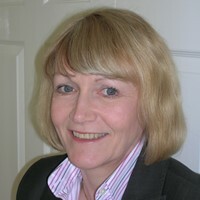 Lynda Moore, a Partner in the Consultancy, FM Contract Watch writes for Infologue.com about independent auditing. Lynda writes: “It is dangerous in any building not to regularly test fire and evacuation procedures. When a real emergency occurs and procedures are found wanting then, quite simply, heads will roll and insurers will think long and hard before necessarily agreeing to cover losses. So why should contract security be any different? If we don’t regularly test it, then it will almost certainly be found wanting when asked to stand up and be counted. “Many companies state that they regularly test the contract security that they provide, but the only real test is an independent, unannounced visit by auditors, who have no connection whatsoever to the organization and can give an unbiased view of the service provided. “At the moment, there is no official requirement for independent audits; however, it would make real sense for such audits to be a much more important part of the SIA Approved Contractor Scheme, and their results taken into consideration during the annual assessment. Likewise, such audits should also be included as a requirement for companies operating to BS 7499:2013 Static site guarding and mobile patrol service – Code of Practice. The vast majority of the inspection focuses the attention on the head office environment and documentation, but what is happening on site is the main concern of any end-user. “In an industry where the hours are long and the wages low, it is inevitable that there will be periods of time when there is an inconsistent performance and complacency sets in. Yet, this will not be identified unless the operation is tested or an intrusion occurs, with catastrophic consequences, by which time it is too late. “At the moment, it is very often the end-user who takes the initiative to employ an independent company to test their security. Why do they do this? Usually, because they want reassurance that the contract company are operating to the required standards and they are getting the service they are paying for. “There are, however, some contract security companies that employ an independent organisation to test their security operation. This can be seen as a real differentiator when submitting a tender and gives the end-user some comfort that the company is confident in the service they provide. The results of these audits form an integral part of the Key Performance Indicators and Service Level Agreement and give these companies the edge over their competitors. “There are a wide variety of independent audits that can be carried out, including the straight forward penetration audits, to test the Security Officer’s awareness and capabilities in the event of an attempt at unauthorised entry. This could be, simply, by tailgating through the security barriers or producing a false ID/visitor’s pass. It is a brave Security Officer who refuses a smartly dressed person, carrying a briefcase and claiming to be the CEO of the organisation, requesting entry out of hours as he has left his access card at home. “In some instances, a customer service audit is more appropriate and Security Officers are tested as to their ability to deal with issues in a professional manner. Alternatively, it may be someone acting suspiciously around the perimeter of the premises in the early hours of the morning, to see if the CCTV operator is alert. “At FM Contract Watch, we carry out independent audits throughout the UK and it has been proven that, where independent audits are carried out, the level of security is heightened. The Security Officers become more alert and suspicious of individuals, challenging the reason for their presence and carefully checking their ID and documentation.